A basic introduction to Green tea and to explain the difference in price. 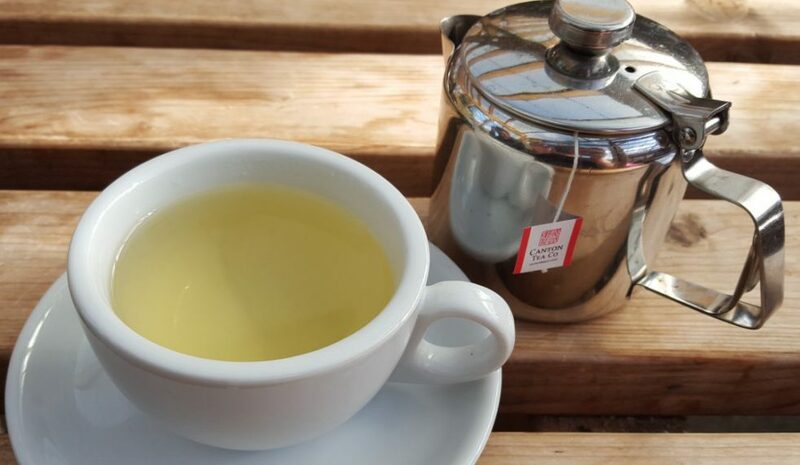 Green tea is a huge part of everyday life in certain parts of the world such as China and Japan. There are many different varieties of green tea (such as Long Jin, Gunpowder, Matcha, Sencha, Mao Feng etc) and each type is unique in it’s own way. Every type of tea (black, green, white etc) are made from the same type of plant which is called Camellia Sinensis. It’s the production of those plants leaves that change the tea’s type. Green tea is takes very little oxidization during it’s development process which keep it green and fresh. In order to do this the leaves that have been picked must be either steamed/pan fried or rolled or dried. The fresh tea leaves get set aside and spread out for a few hours after picking to ensure the water reduces slowly during that time to help the drying process. This is also the process that all yellow and non perfect leaves get taken out and discarded. The next stage is the most crucial stage when you consider the quality and flavours of the tea. Pan frying/steaming – The tea is put inside a large, flat pan that can hold roughly 400g. From there the electric pan is heated and the leaves are moved around to make sure they do not burn. This slowly takes out most of the water and dries it enough to stop full oxidization, leaving them green and fresh. Rolling – Leaves are rolled into your basic pearl/ball styles to make the drying process easier. Pearls/balls are also easier for some people to brew and keep stored. Drying – This stage adds colour and flavour. The tea is put into a large bowl similar to the pan fryer and has hot, dry steam that washes over the leaves to finish the tea to perfection. Why do green tea’s vary so much in price? In most online tea shops you can compare the same type of tea with different qualities that reflect the price. Most of this is due to the type of leaves used and the location of the plant that they have been taken from. 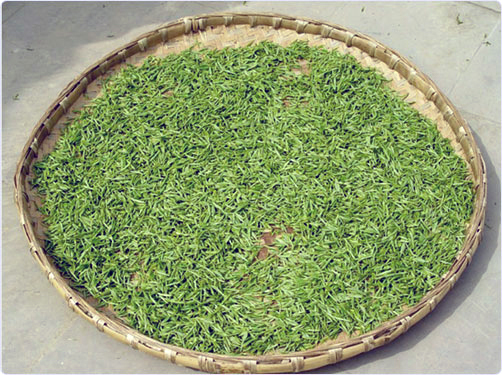 For example: If you imagine a stalk of natural green tea (as shown below in basic form) it will have leaves at the bottom which are usually larger and smaller newer leaves at the top. The top leaves for a lot of tea’s are considered to be the tastiest and freshest so they are picked separately for the finer quality tea. Then the middle leaves will be chosen for a good quality and it will continue in that way until you get to the bottom which are the oldest leaves. 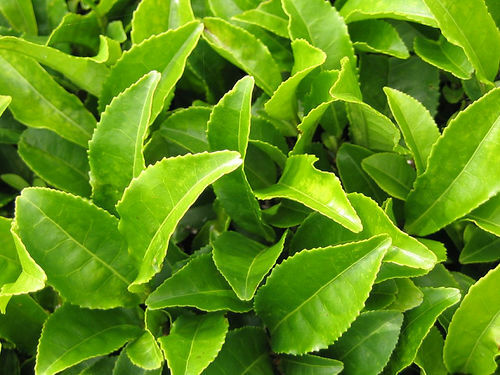 Some green tea’s you get are cheaply are purely due to the type of leaves used to make it. For the most part you get what you pay for. Aside from the flavour and large variety I would recommend green tea for anyone that struggles to drink enough water each day. I personally find it hard to drink the necessary 2-3litres of water a day that are required to regenerate our bodies cells. Although tea is not as pure as water for something like green tea it’s still natural enough to help towards your daily recommendation. It is also believed to be good for lowering cholesterol levels and contains anti oxidants.